Russian skiers have swept the podium in the women’s visually impaired 5-km freestyle cross-country race on the final day of the Winter Paralympic Games in Sochi, where Russia triumphed with a total of 80 medals, including 30 gold. Elena Remizova, 27, came first in the cross-country race with a result of 13:23.8, winning Russia’s 30th gold medal on Sunday. Mikhalina Lysova, who took silver, was only 3.9 seconds behind, while Yulia Budaleyeva won bronze with 13:45.1. 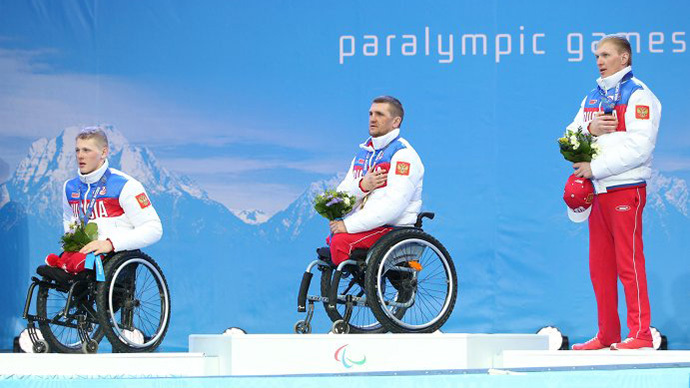 “It feels great to win the last race at the Sochi Paralympics. But I was expecting a gold medal and fought till the end,” Remizova told R-Sport news agency. She added that she was also very happy about her overall result in the Games: three gold medals and one silver. 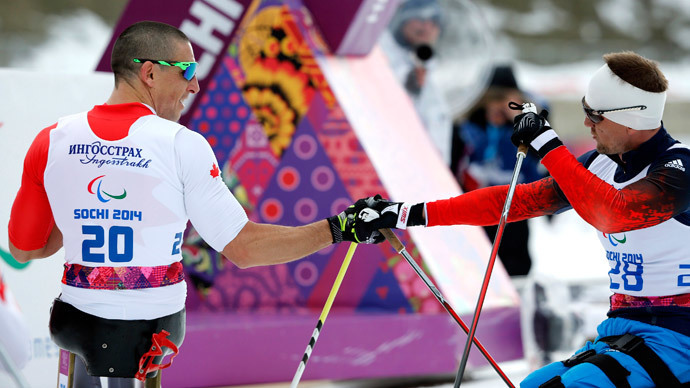 Meanwhile, Russian male athletes showed impressive results Sunday in the 10 km standing skiing race where they also swept the podium. Aleksandr Pronkov, just 16 years old, was first with 23:59.9, followed by Vladimir Kononov with 24:00.7 and Vladislav Lekomtsev. 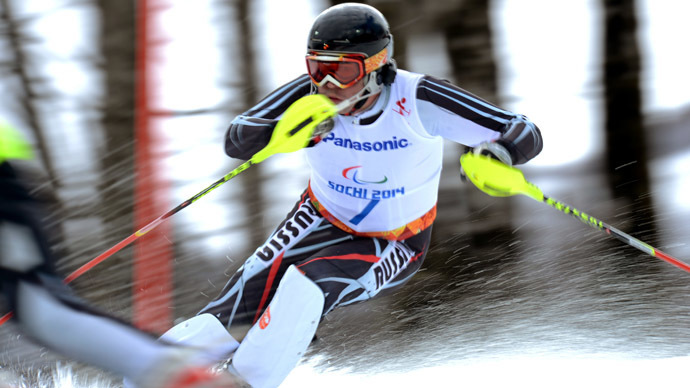 The final Sochi Paralympic gold went to Germany’s Anna Schaffelhuber, the winner in the women’s sitting giant slalom event. It was the fifth gold medal for the 21-year-old Alpine skier in Sochi. “I knew that I could win gold in every discipline, but I have never believed that I would do that,” she said. The sporting events are now officially over and the sad moment has almost come for athletes and fans to say goodbye for another four years. 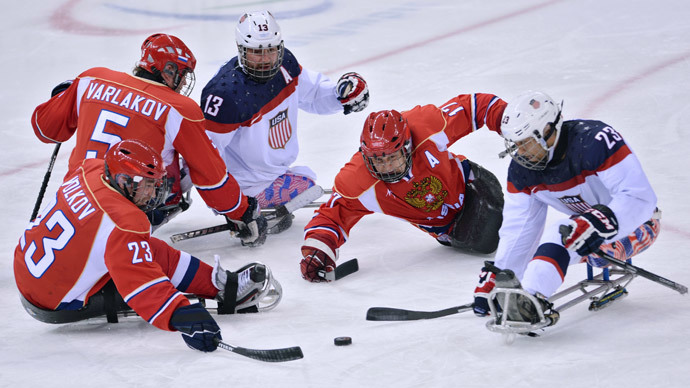 On Sunday evening, national teams and sports fans will meet again at Sochi’s Fisht Stadium for the Paralympics Closing Ceremony. Mikhalina Lysova was picked to be Russia’s flag-bearer at the event: she won a total of six medals at Sochi, including three gold medals and three silver. “Traditionally, at the opening ceremony the national flag is carried by a person who has big achievements in the Paralympics movements, while at the closing ceremony – the flag-bearer is an athlete with the best results, a leader of the team,” Russia’s Sports Minister Vitaly Mutko told Itar-Tass, adding that it is logical that Lysova was chosen for that role. Russian skier and biathlete Roman Petushkov – who showed unbelievable results scoring six gold medals in the Games – was also given an honorable role at the ceremony, Mutko said. The 36-year-old athlete will be watching the show sitting next to Russian President Vladimir Putin and the head of the International Paralympic Committee. Russia has set a new medal record for the Winter Paralympics, surpassing Austria’s previous record performance in 1984 by 10 medals.